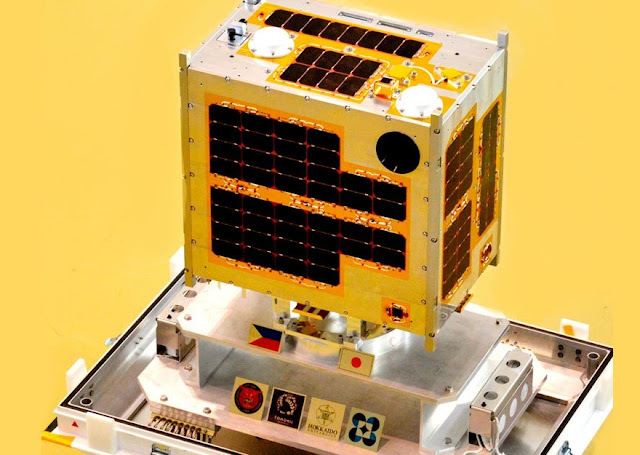 The Philippines' first microsatellite, Diwata-1, has traveled around the world some 5,000 times in the year since it was sent into orbit on April 27, 2016. A live feed was set up so that attendees could watch the satellite live as it flew over the Philippines around 3:20pm. Diwata-1 doesn't always fly over the country, but it does so roughly four times a day. In all, the microsatellite has passed over the Philippines over 1,000 times since deployment. "The space program really takes a whole baranggay," he said. "This has been a roller coaster ride for everybody, indeed for everybody and not just the scientific community. We're learning new things, and we're really seeing things hands-on."